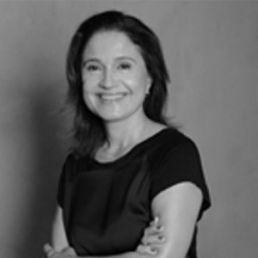 Marina has been the President of the Brazilian Business Council for Sustainable Development (CEBDS) since 2010. In 2018, she joined the Steering Committee of the Carbon Price Leadership Coalition (CPLC), being the only Brazilian representative to be a member of the World Bank coalition’s board focused on carbon pricing. An economist, she assumed the duties of Executive Director and Coordinator of the Energy and Climate Change, Sustainable Construction, and Sustainable Finance working groups. Between 1997 and 2001 she acted as a negotiator for Brazil at the Conference of the Parties to the United Nations Framework Convention on Climate Change (UNFCCC). In 2003, Marina founded and chaired a Sustainability consulting firm Fábrica Ethica Brazil (FEB), providing advisory services to governments and businesses and launching, among other initiatives, the Carbon Disclosure Project. She was the Coordinator of the Brazilian Forum of Climate Change and has headed promotions at the Ministry of Science and Technology, the International Office of Educational Television (Funtevê) and spent time as regional Director of Brazilian Tourism (Embratur). She is currently a member of the following Boards/Advisory Councils: Abengoa Panel/Abengoa IPESD Spain; Carbon Disclosure Project for Latin America; FIES Banco Itaú Unibanco; Research Institute of Botanical Garden of Rio de Janeiro; Sustainable Development Advisory Council; Council Network of Women Brazilian Leaders in Sustainability. Companies with a strategic vision cannot disregard climate risk and carbon pricing initiatives, such as that led by CEBDS, that are of extreme importance in order to predict investments in the coming years. By 2100, the value of financial assets under climate change risk around the world is expected to total up to $ 43 trillion. Therefore, TCFD and CEBDS have established a partnership to broaden support for recommendations to the disclosure of financial information. Carbon pricing, internal and voluntary, is already adopted in more than 600 companies worldwide. In Brazil, 16 companies already implement internal pricing and another 27 will adopt it until 2019. This decision may reduce future regulatory risks.